Speaker John Boehner (R-Ohio) announced Monday that he will sign the 2016 defense policy bill on Tuesday, setting in motion the 10 days that President Obama will have to follow through on a promised veto. Boehner's signing will be attended by Senate Majority Leader Mitch McConnell (R-Ky.), respective Senate and House Armed Services Committee Chairmen John McCain (R-Ariz.) and Mac Thornberry (R-Texas), and other lawmakers in a theater vignette meant to underline the importance of the legislation. 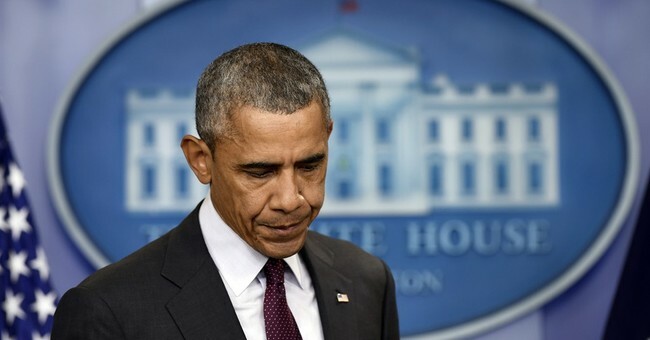 President Obama has threatened to veto the bill, which authorizes Pentagon funding and programs for 2016, because of a larger spending fight with Republicans. GOP leaders want to make the veto as public and painful for the president as possible. The House and Senate recently passed this annual bill with significant bipartisan majorities and they’ll send it to Mr. Obama as early as Tuesday. The NDAA is a policy bill that contains major military reforms and authorizes $612 billion in national defense spending, though that money would have to be appropriated separately. The bill matches Mr. Obama’s budget request for an increase of $38 billion above federal budget caps for military spending. The NDAA does this by allocating the money through an Overseas Contingency Operations (OCO) fund, which isn’t subject to the budget caps. The President calls this a budget gimmick, which it is, but that hasn’t stopped Mr. Obama from requesting his own OCO funds when it suits. The point is that this is $38 billion Mr. Obama requested, and that the military needs. The President’s real goal is to force Republicans to break the caps on non-military domestic spending. His veto threat explains he will not “fix defense without fixing non-defense spending.” So he admits that he’s willing to squeeze a military that is fighting the likes of Islamic State unless he gets more for Head Start, “job training and employment services” and welfare programs...The bill contains other important provisions, including funds to provide military aide to Ukraine in its defense against Russian separatists, new money for ballistic missile defense, and a military pay raise. On the rare occasions—four times—that a President has vetoed a defense authorization bill, he did so over a specific policy dispute. In 1988 Ronald Reagan vetoed a bill that slashed missile-defense funding. George W. Bush vetoed the NDAA in 2007 over a provision allowing plaintiffs lawyers to freeze Iraqi assets in U.S. banks for use in lawsuits brought by the victims of Saddam Hussein. Mr. Bush argued those assets would be vital to Iraq’s ability to rebuild. Congress struck those provisions and returned the bills for signature. The NDAA has passed for 53 years in a row, making it a rare display of bipartisanship. It passed the Senate this year with 70 votes, including 21 Democrats, and the House with 270 votes, including 37 Democrats. The editorial concludes: "Under pressure from the White House, many of those Democrats may switch to sustain a veto. It’s hard to find a worse example of Washington dysfunction than a Commander in Chief, backed by fellow Democrats, who is willing to punish the military so he can break the little fiscal discipline that Congress has." One would imagine that Congressional Democrats will knuckle under, some abandoning their own votes on the legislation in order to carry the president's water. When it really counts, Democrats line up and salute, acting as an Obama-protection and -abetment racket above all other concerns.